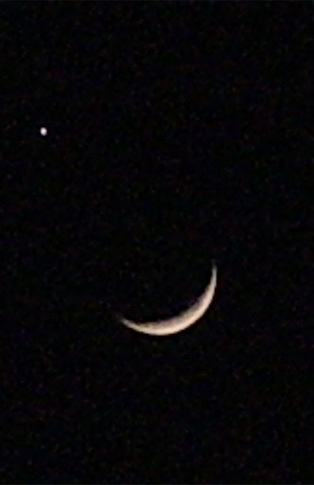 Two planets Venus and Jupiter were at conjunction and mimicked a “double star” and were only 2 degrees apart and the crescent moon below them gave the appearance of a smiling face on 1st Dec, 08…a beautiful sight indeed. 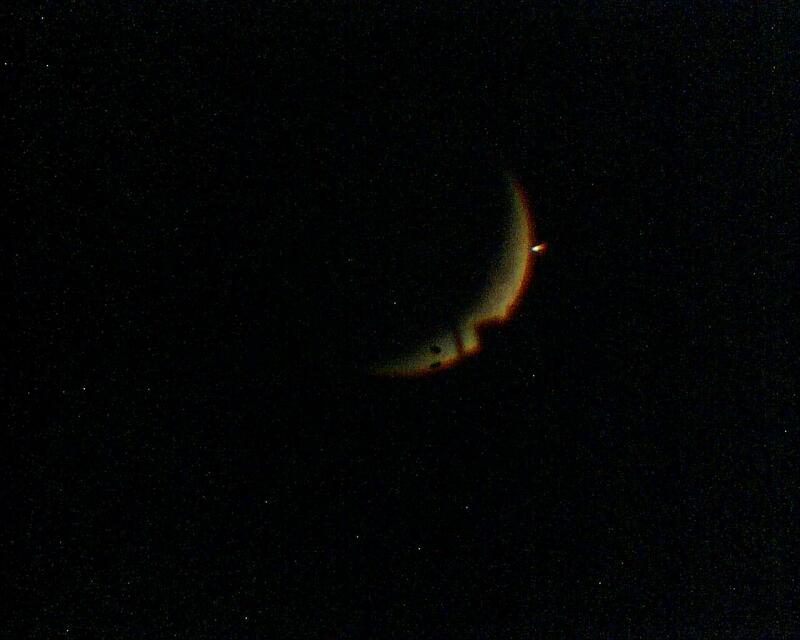 “This week’s planet conjunction marks the second time this year that Venus and Jupiter have mimicked a brilliant “double star” in our sky. 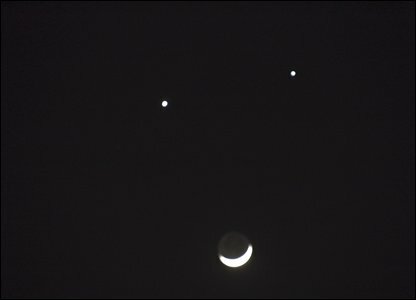 Back on February 1st, they appeared together in the eastern sky before dawn. At that time they nestled even closer together — only ½° apart. Posted in Islamic Knowledge, Pakistan, Photography, Take Heed! …and We drowned those who denied Our Ayats (Signs). Lo! they were blind folk. This was the punishment of the people of Nooh (as)…so won’t we take heed after the disastrous rains that lashed Karachi ? Wont we repent and make amends so we don’t meet the same fate? 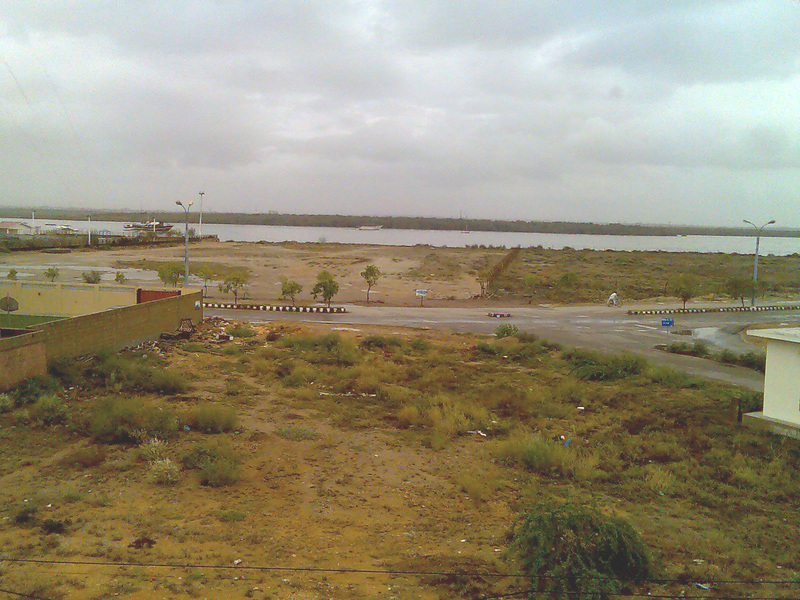 The Pictures below shows the Korangi Creek before and after the rains. 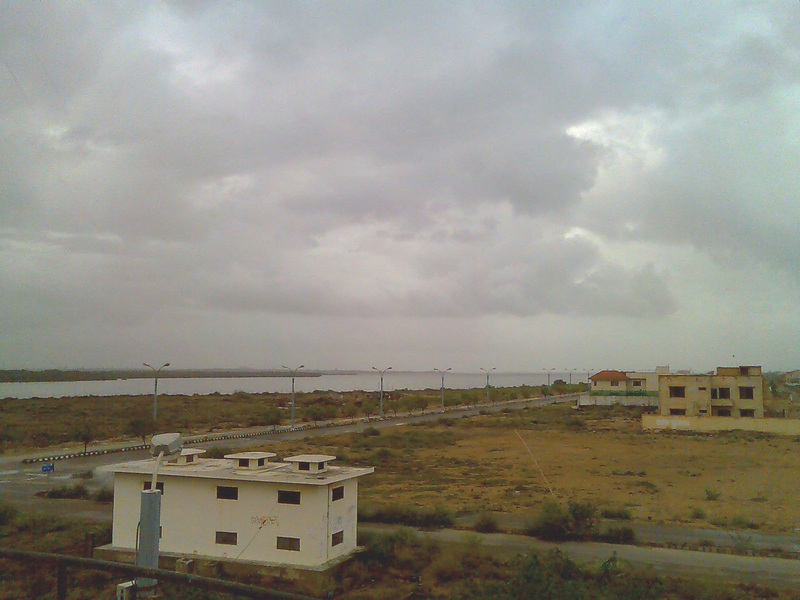 The rain that devastated DHA Phase IV and V and Sea View did not do much damage to Phase VIII. 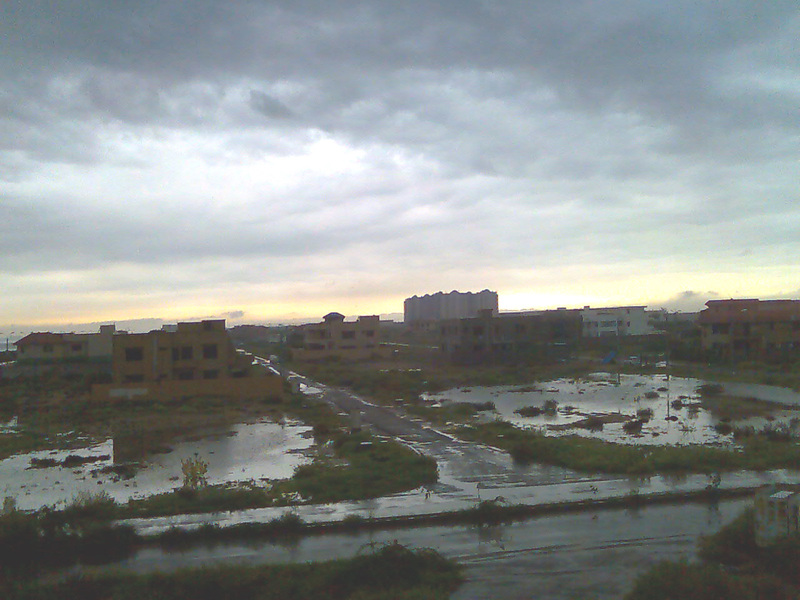 The rain water accumulated in the empty plots. 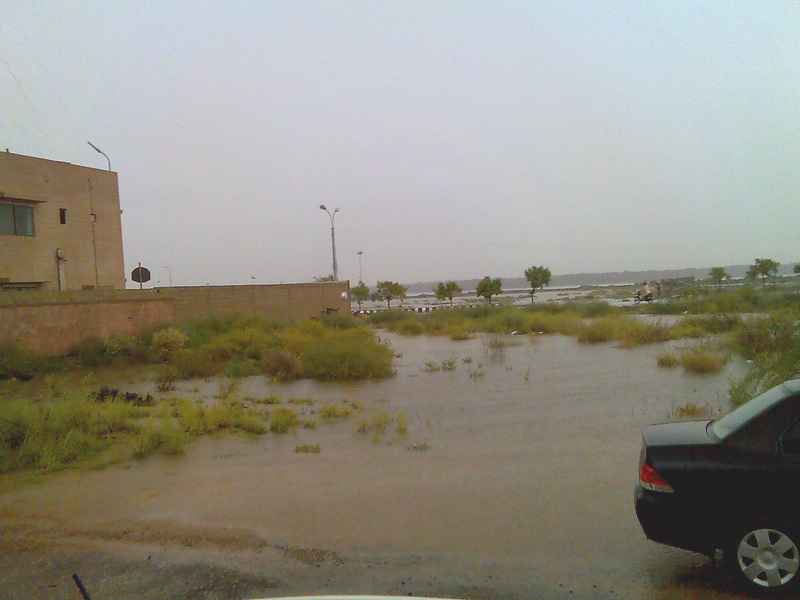 But the rain that started last night..has literally flooded the whole area! One can hardly make out where the creek ends and where the main land starts.The water on the empty plots is almost three feet deep and now coming on the streets. It is the rule of Allah Tala, that when a nation or people keep on rejecting His Ayats ( Signs in the universe and Ayats of the Quran), Allah Subhana Tala sends down punishment to wipe them out. O Allah forgive all our sins, the big, the small, the open and the hidden. O Allah guide us all and protect us all and save us from the torments ( Azaabs) and do not include us amongst the wrong doers. Update: Some more ayats from the Qur’an. (Araaf -93) And We sent no Prophet unto any town (and they denied him), but We seized its people with suffering from extreme poverty (or loss in wealth) and loss of health (and calamities), so that they might humiliate themselves (and repent to Allâh). (Araaf- 95) And if the people of the towns had believed and had the Taqwâ (piety), certainly, We should have opened for them blessings from the heaven and the earth, but they belied (the Messengers). So We took them (with punishment) for what they used to earn (polytheism and crimes). View from the gap in a window, which used to be mine… a year ago.. in Leeds. 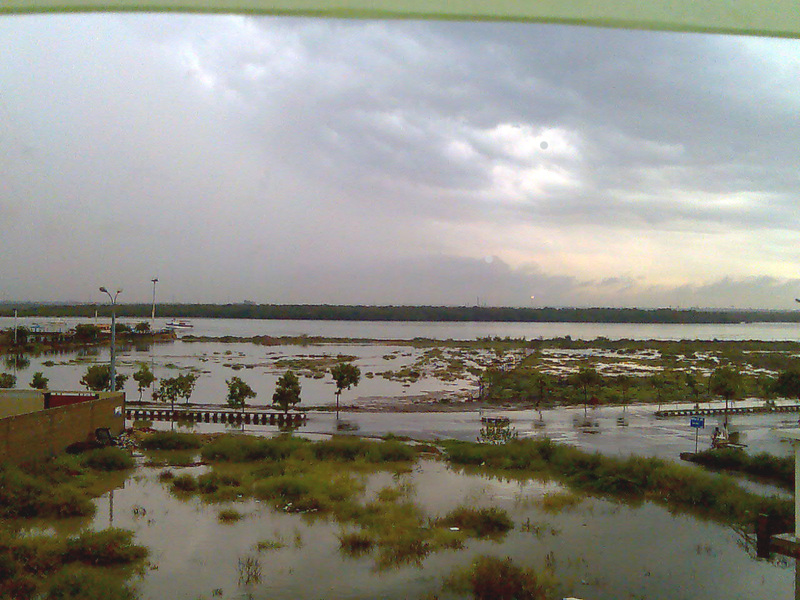 My friend Anvita got stuck in this storm and she said the water was ankle deep. 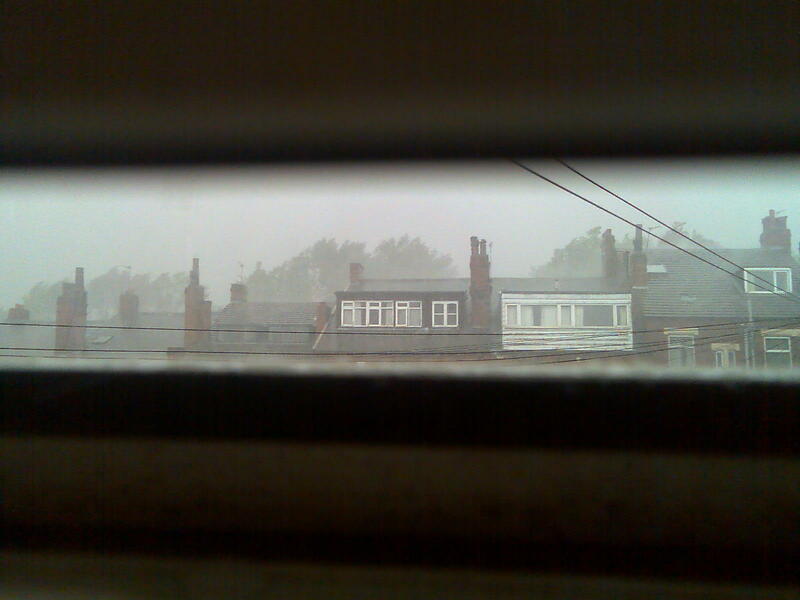 It turned out there was a cyclone passing by Leeds. I miss Leeds…it was my home for more than one and a half year.. The skies were clear, with only a few passing clouds. 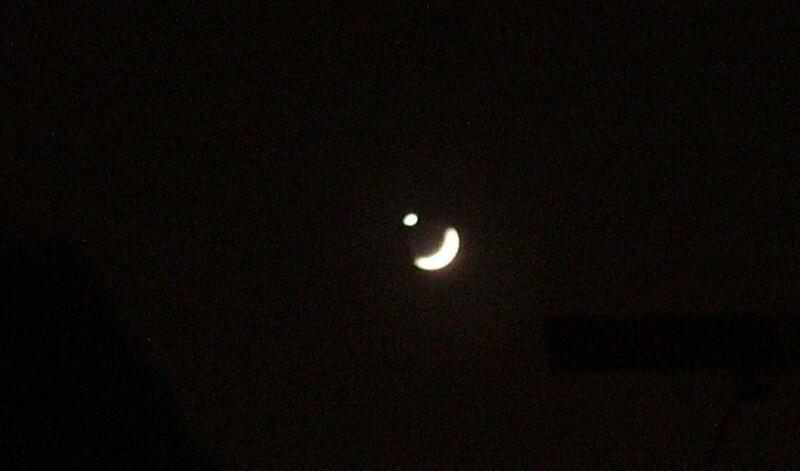 Venus disappeared behind the moon around 9:00 PM Pakistan Standard Time. 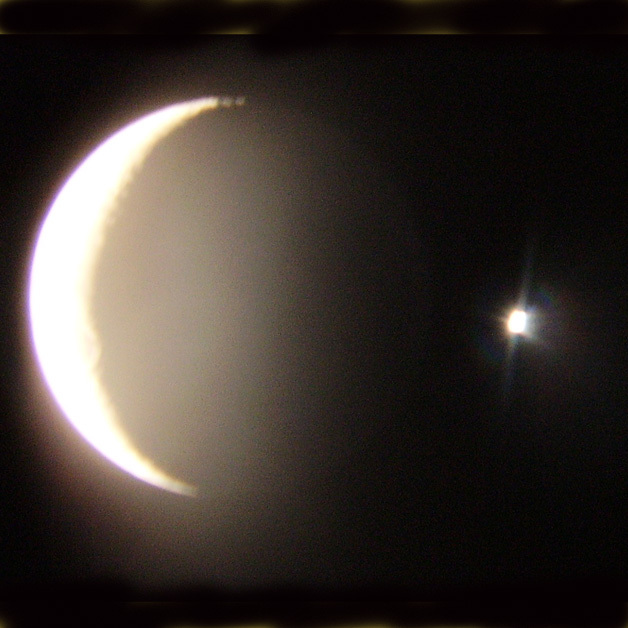 It reappeared from behind the moon quite close to the horizon, so I was unable to capture the appearance on camera. The camera was not capturing it. I filmed the disappearance on a camcorder, but it will take time for me to transfer the video to the pc. 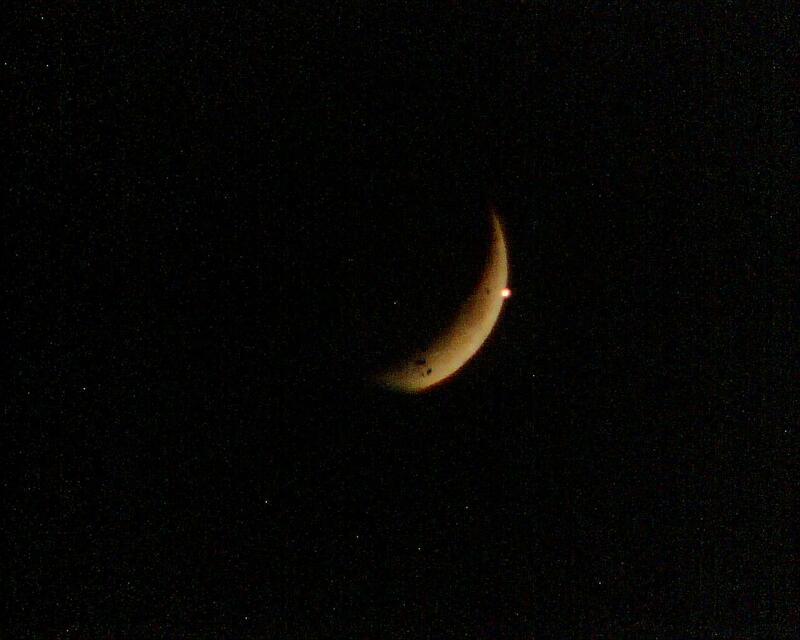 I took pictures, direct from the camera and also from the eye piece of my Telescope. Sky Watcher Explorerer 130 MM. 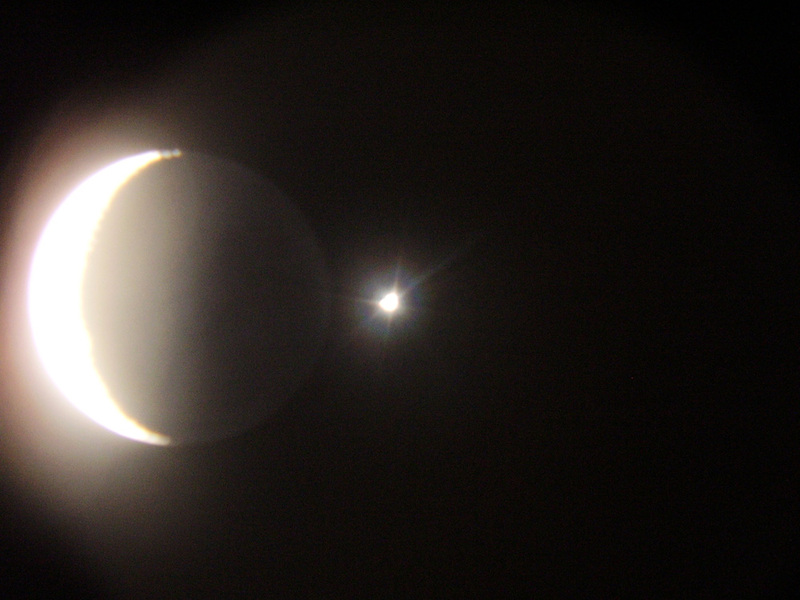 the eyepiece used was of 25mm. The disappearance was easily seen through the scope. 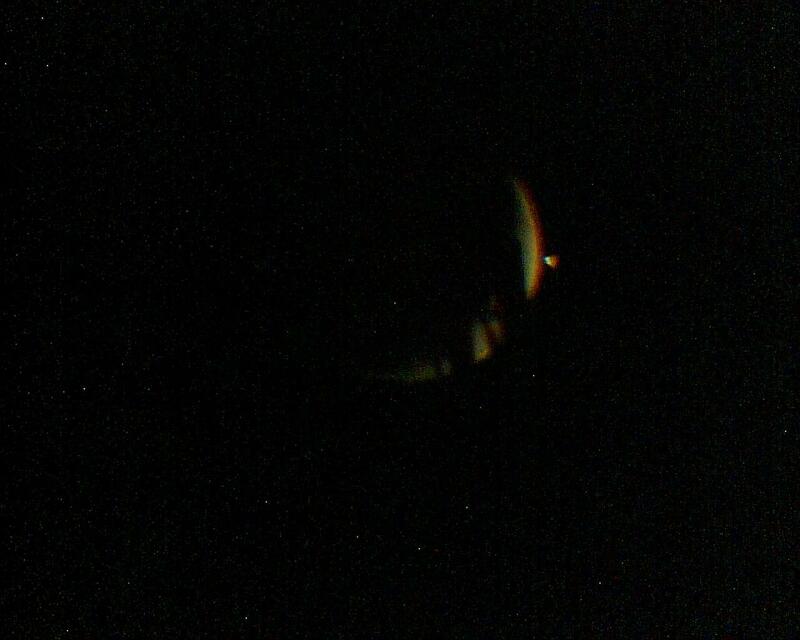 However i was not able to see the re-appearance from the scope due to my low viewing location. 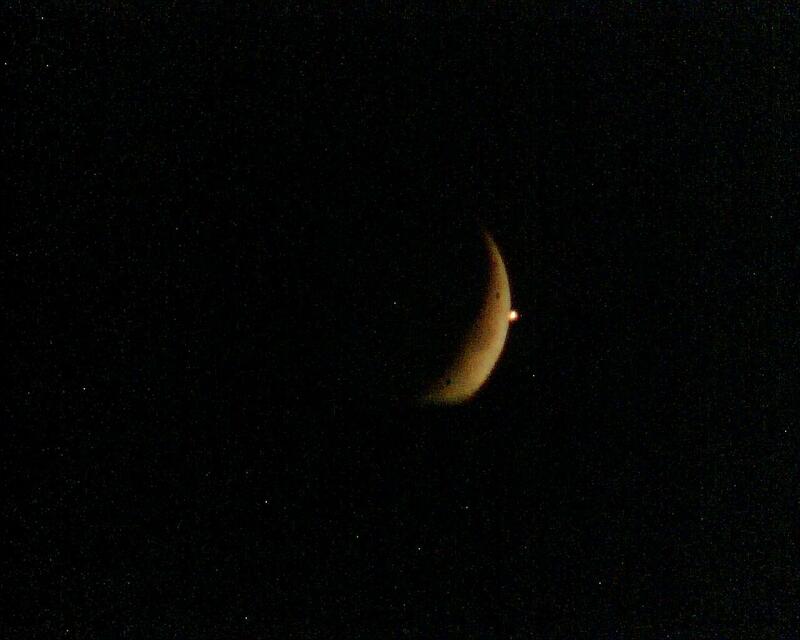 These pics of Venus and the Moon were taken with Olympus Digital Camera from Karachi Pakistan. The first two pictures were taken with the Camera directly, while the next two are taken from the eye piece of my Skywatcher 130 MM Telescope.